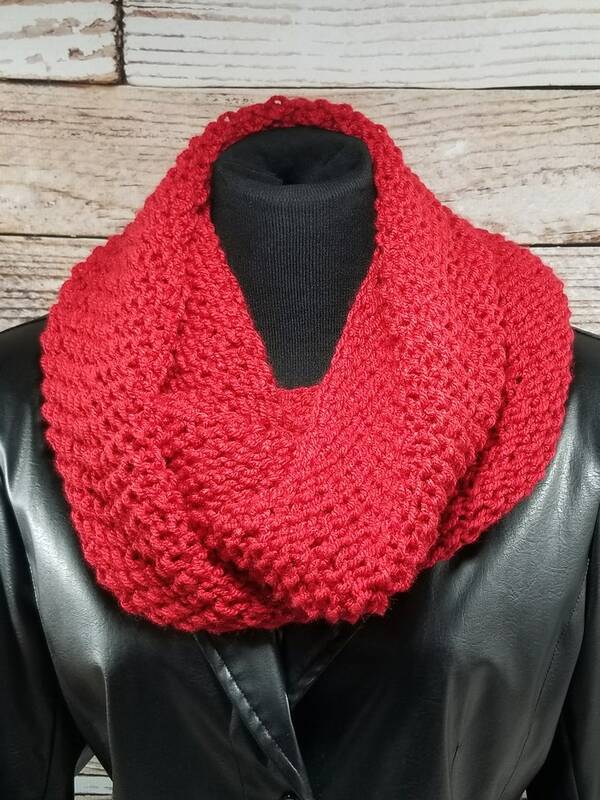 Wrap up this winter with this gorgeous hand knit infinity scarf. It is a long scarf that can be doubled or tripled to create a chunky, warm look. It is wide enough to pull up over the head to protect ears during those cold winter blasts. Teens and young adults love to wear these scarves. They make the perfect gift! This scarf measures 56 inches around and 10 inches wide. The knit design stretches so it can be wrapped multiple times around the neck. This scarf is ready to ship. Please allow 1-2 days processing before shipment.